RedCritter Connecter gives you the elements to design and manage your social platform. Here's an overview of everything you need to start planning your social enterprise. Accolades allow peer-to-peer recognition and compliments. Accolades are a great way for people to thank someone for a job well done. Actions represent events that you would like to track. Actions can be defined based on your goals and can trigger multiple events such as adjusting leaderboards, awarding or removing a badge or increasing a skill. Badges are used to reward or recognize a person's or team’s accomplishments. They can be configured with a variety of options allowing them to be competitive or cooperative. Create and customize badges based on your requirements. Certs are used to recognize a person's or team’s completion of training or to show a competency in a specific area. They represent more formal accomplishments than badges. Create custom certs based on your requirements. Leaderboards are used to rank members or teams. They can be used to create a friendly sense of competition or to acknowledge top performers. Skills are used to track a person's or team’s competency. Skills are fully customizable and can have up to 10 levels. You can create and track skills for anything important to you. By earning skill points people and teams can increase their skill level over time. Skills can even be configured to degrade over time. Rewards are optional items that you can use in conjunction with virtual currency. You can decide when to award virtual currency and what items are available in your Rewards Store. Shareables are items that you can create to allow you to do things like awarding badges, increasing skills points or awarding virtual currency via QR Codes, compatible NFC enabled devices and simple links. Who is RedCritter Connecter for? RedCritter Connecter is for any organization (including businesses, schools, universities, professional groups and non-profits) interested in increasing employee or member engagement and productivity through rewards, recognition and gamification features. Also, any individual professional (including, team leaders, keynote speakers, thought leaders, project managers, educators and executive coaches) can use RedCritter Connecter to create organizational engagement with their teams, audience, students, or clients. How do I invite members to my App? All you need to invite a new user is their email address. Simply by awarding a badge, cert or skill points the recipient will be invited into your app and on-boarded automatically. If the person doesn't already have a RedCritter profile they will be prompted to sign up and create one. How can my members view their profiles? Your members can view their profiles at www.redcritter.com or using our Windows Phone 8 app. We also have apps for SharePoint Online and Office 2013. 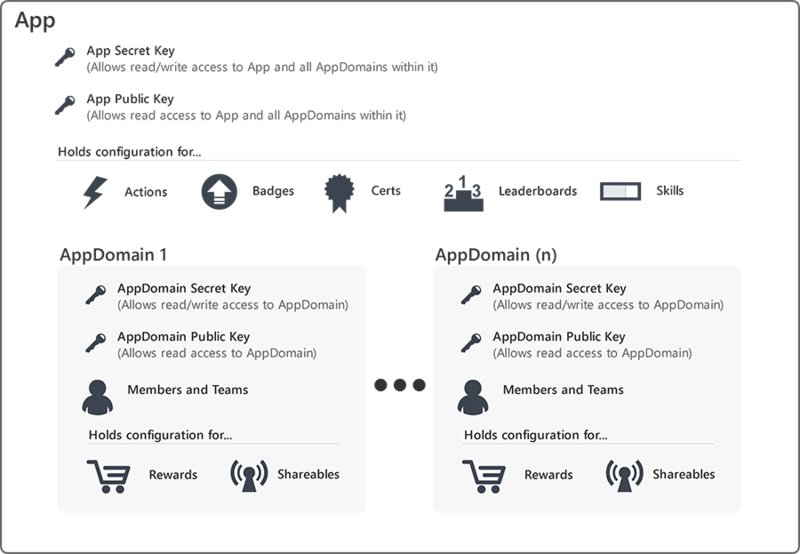 If you are a developer you can also embed profiles in your own applications using our developer APIs. An App represents a container for the badges, certs, skills, actions and leaderboards that you define. Members do not join an App this is simply where your definitions live. AppDomains are where the members interact. An AppDomain represents a walled off instance of your App. Users always join a specific AppDomain and this is where they earn badges, certs, participate on leaderboards etc. For example if you defined leaderboard for your App and your company has multiple departments or divisions you can create an AppDomain for each department. i.e. ‘IT Dept’ and ‘Sales Team’. Members will only be listed on their department’s leaderboard even though the definition of the leaderboard is the same. If you do not create an AppDomain a new one named (Default) will be created for you automatically. All API calls that do not specify an AppDomain will use the default AppDomain. How much does RedCritter Connecter cost? View our pricing page for the latest pricing. Most plans offer a free 30 day trial. If you choose to cancel your account before your trial ends, you will not be charged. Your members pay nothing for use of the service. 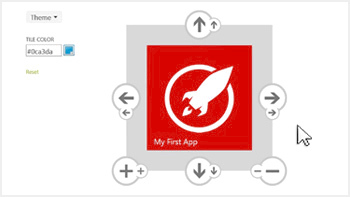 Simply follow along with this video tutorial to create your first app and award your first badge. It only takes a few minutes!